It's Halloween again, yay! I actually debated whether or not to even put up my decorations since it's already halfway through the month, but what the heck, this is my life so I am going with it. 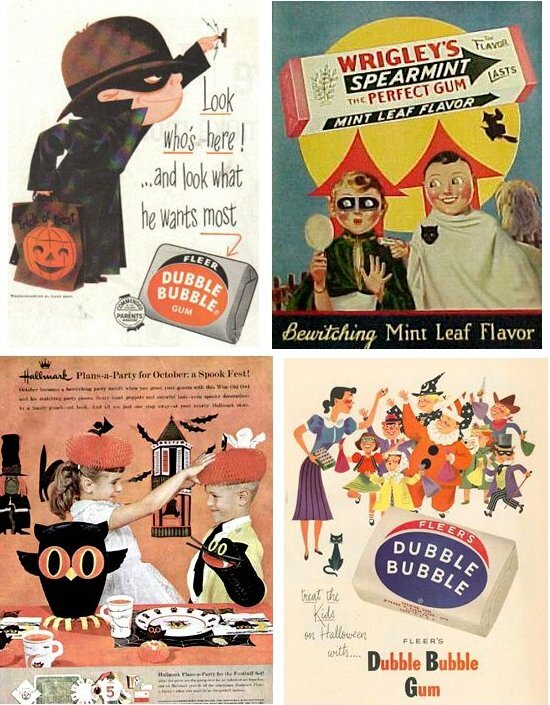 Here is a picture of my favorite collection and some vintage Halloween ads I saved a long time ago and I don't remember where I found them...oops! For more Halloween inspiration, see these posts: here, here and here.